The reigning Crown Prince of Bhangra, Jazzy B, makes a much welcomed return to the silver screen in the swooning and crooning avatar of Romeo in Punjabi family entertainer ‘Romeo Ranjha’, ready to win the affections of cross-generational audiences worldwide on 16th May 2014, presented by White Hill Production Inc. and distributed internationally by B4U. 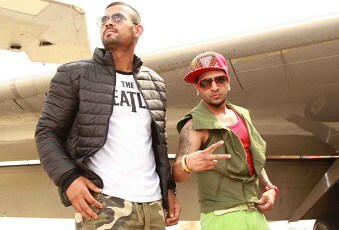 Not just an adulated vocal talent, Jazzy B lives up to the benchmark he has established for himself in terms of onscreen popularity and praise, following his acting debut in super-hit Punjabi film, Best of Luck, which garnered him the PTC Punjabi Film Award for Best Male Debut and widespread plaudit; and his special appearance as himself in Box Office winner, Jatt & Juliet 2. Set to champion the hearts of cinemagoers and diehard music fans alike, Jazzy delivers another charming performance alongside Punjabi pin-up, Garry Sandhu, in a film that represents regional language cinema at its mot entertaining, directed by Navaniat Singh. The singing sensation naturally lends his vocals to the catchy soundtrack courtesy of composer Jatinder Shah. ‘Romeo Ranjha’ releases on Friday 16th May.